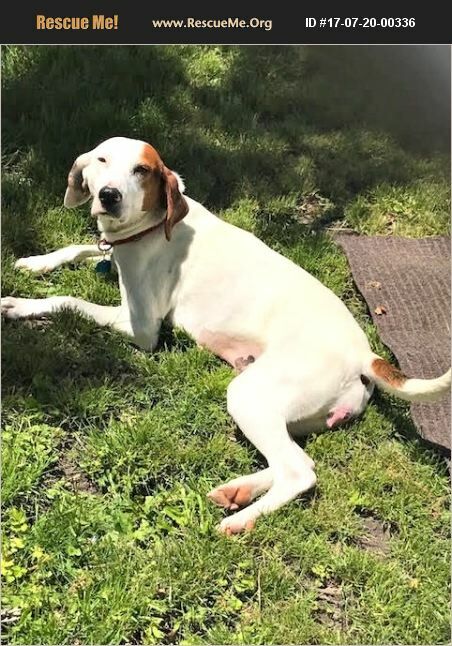 Wisconsin Treeing Walker Coonhound Rescue View other Treeing Walker Coonhounds for adoption. Zoey is a sweet girl who loves everyone. Zoey has come a long way since she arrived from being a completely outside dog with no house or family clues. Zoey has proven to be house trained and very cuddly. Very dog friendly and only chases cats if they run. We are continuing basic training and walking nicely on a leash. We are almost there! Once you get walking and initial excitement is over, she is a dream. If you are looking for a young adult, that easily fits in any situation, that you can train for tricks, yet also cuddle up with some Netflix's, Zoey is for you. She is looking for her own family with maybe a four legged sibling or 2. She is such a sweet soul and cutie face. Great size that she's not too big or too small. Her hair is short and easy to deal. She will be your shadow if you let her. Please consider Zoey.